Abraham Martens was born in 1897, in Sergeievka, Russia where he was a member of the Mennonite Brethren church. He married a Yugoslavian woman whose name was Tonya in 1913 or 1914. He became an officer in the White Army in World War I. He contracted typhus like many other soldiers and was sent to Egypt to recover. Shortly thereafter a daughter was born who became known as Adele (Adelheide?). By the time he recovered from his illness, it was unsafe for him to return to Russia for fear of retaliation by the Russian government. He went to Tonya’s former home in Yugoslavia. When Adele was about five years old the family was reunited. The family remained in the country where Abraham became employed in the Yugoslavian government. He worked his way up the ranks to the equivalent of Minister of Railways. World War II brought a horrible end to a good life. Their city and their house was destroyed first by the occupying German army and then bombed by Allied forces. Because of Abraham’s biblically based name he was the object of some anti-Semitic persecution during the German occupation. The family fled to Austria where Adele sang, danced and recited poetry for money in the streets. The family eventually immigrated to Canada in 1949, and settled in Winnipeg and attended the North Kildonan Mennonite Brethren Church. Abraham died around 1953. This information comes form an interview with Abraham Martens’ nephew, John Martens who also states that there are about 100 pages of his uncle’s memoirs missing. The custodial history of this item is unknown. 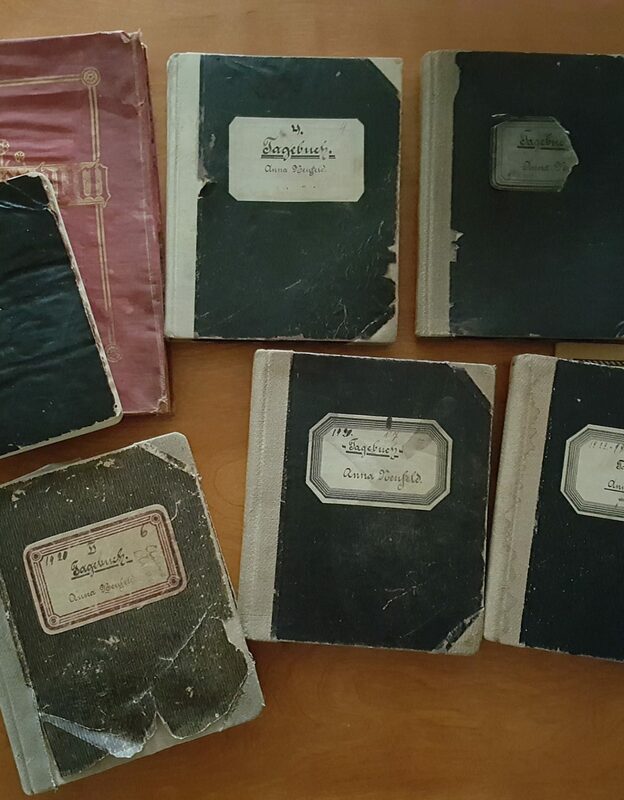 This collection contains copies of Abraham Martens’ autobiography. Photocopies of the originals and typed transcriptions can be found in this collection. All the material is in German. Described by Conrad Stoesz November 4, 1999. Location: “M” Small Collections, File 2–5. 2. Abraham Martens, “Erlebnisse und Erinnerungen, I Teil”, p. 1–115. – [before 1953]. – photocopied [198-?]. 3. Abraham Martens, “Erlebnisse und Erinnerungen,” part 2, p. 116–218. – [before 1953]. – photocopied [198-?]. 4. Abraham Martens, “Erlebnisse und Erinnerungen, I Teil”, p. 1–116. – [before 1953]. – Typed [before 1953]. – photocopied [198-?]. 5. Abraham Martens, “Erlebnisse und Erinnerungen,” part 2, p. 1–61. – [before 1953]. – Typed [before 1953]. – Note: Part two typed begins at page one, but is really a continuation starting on p. 116.